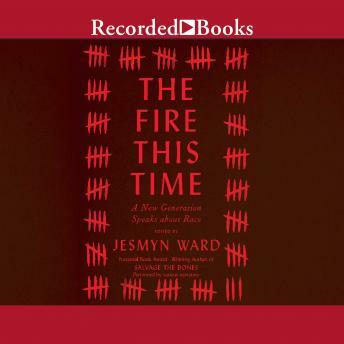 National Book Award winner Jesmyn Ward takes James Baldwin's 1963 examination of race in America, The Fire Next Time, as a jumping off point for this groundbreaking collection of essays and poems about race from the most important voices of her generation and our time. In light of recent tragedies and widespread protests across the nation, The Progressive magazine republished one of its most famous pieces: James Baldwin's 1962 "Letter to My Nephew," which was later published in his landmark book, The Fire Next Time. Addressing his fifteen-year-old namesake on the one hundredth anniversary of the Emancipation Proclamation, Baldwin wrote: "You know and I know, that the country is celebrating one hundred years of freedom one hundred years too soon." Award-winning author Jesmyn Ward knows that Baldwin's words ring as true as ever today. In response, she has gathered short essays, memoir, and a few essential poems to engage the question of race in the United States. And she has turned to some of her generation's most original thinkers and writers to give voice to their concerns. The Fire This Time is divided into three parts that shine a light on the darkest corners of our history, wrestle with our current predicament, and envision a better future. Of the eighteen pieces, ten were written specifically for this volume. In the fifty-odd years since Baldwin's essay was published, entire generations have dared everything and made significant progress. But the idea that we are living in the post-Civil Rights era, that we are a "post-racial" society is an inaccurate and harmful reflection of a truth the country must confront. Baldwin's "fire next time" is now upon us, and it needs to be talked about. Contributors include Carol Anderson, Jericho Brown, Garnette Cadogan, Edwidge Danticat, Rachel Kaadzi Ghansah, Mitchell S. Jackson, Honoree Jeffers, Kima Jones, Kiese Laymon, Daniel Jose Older, Emily Raboteau, Claudia Rankine, Clint Smith, Natasha Trethewey, Wendy S. Walters, Isabel Wilkerson, and Kevin Young.